I just received this nice freebie from Monotype. 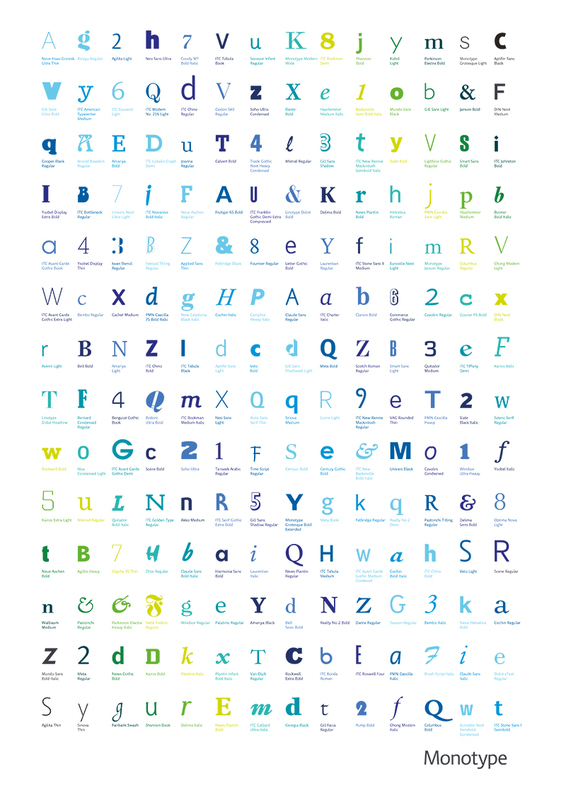 A custom-designed, illustrated glyph set “highlighting dozens of the world’s best typefaces”. Its almost as interesting to see the individual glyphs from the typefaces I know as it is to discover some of the ones I don’t! The ‘4’ from ‘Ysobel Display Thin‘ is particularly nice. Unit Editions, an independent publishing collaboration between Tony Brook (Spin) and Adrian Shaughnessy, have released two new videos showcasing spreads from Type Plus and Type Only. 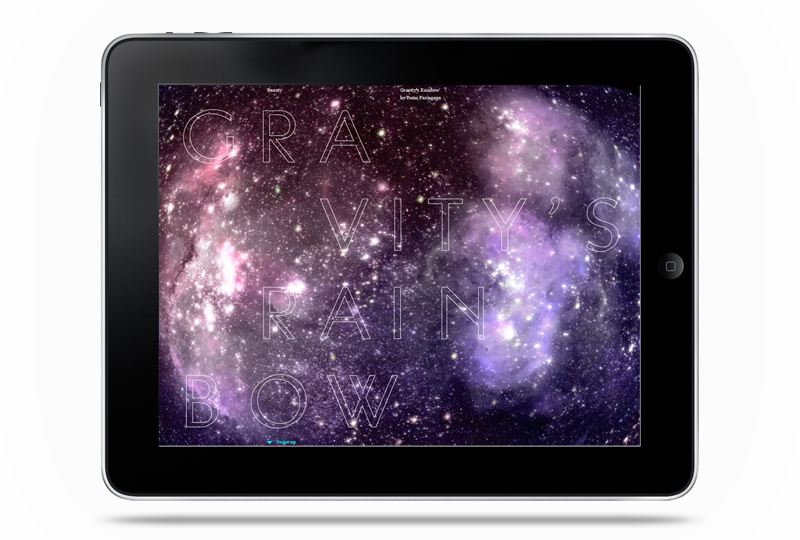 Featuring a range of contemporary typographic work by a host of international designers. If you don’t get a chance to flick through them yourself this is a nice little sneak peak into their contents. Very thorough type specimen from Grilli Type (see full PDF here ) to show off their updated version of GT Walsheim, now with Cyrillic support and renamed GT Walsheim Pro. I particularly like the tittle (or dot) on the lowercase i, j and accents in the lighter weights. Ever wondered if your interpretation of a book was accurate? Wonder no more. With e-books taking over printed book sales it was only a matter of time before we made them more ‘interactive’. Effectively less book-like… And that’s exactly what Researchers at MIT’s Media Lab have created with their project ‘Sensory Fiction’. A wearable, augmented book that attempts to make the reader ‘feel’ the story page by page. With clever use of vibration, lighting, heat and air bags it induces physical sensations from the reader that align with what’s happening on each page of the book. Clever stuff eh. 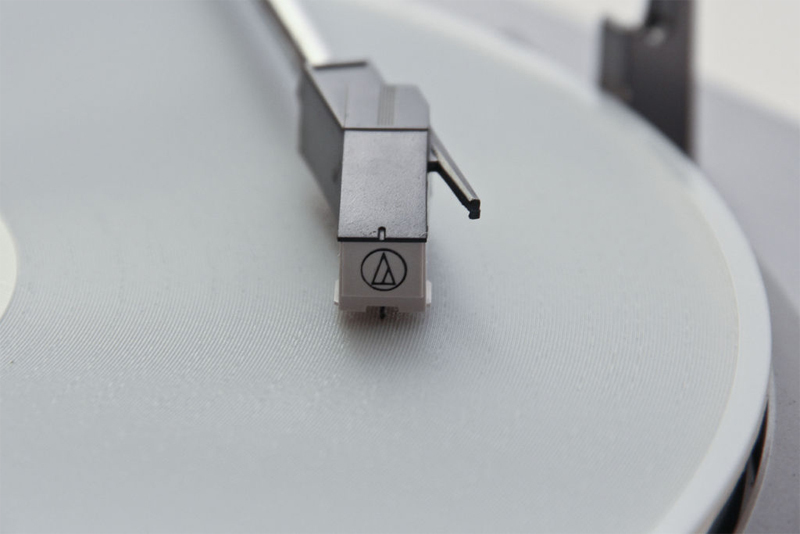 Just as we were ready to throw out our old record players and submit to a life of MP3, Amanda Ghassaei at instructables has found a way to print a 3D record from your digital copy! 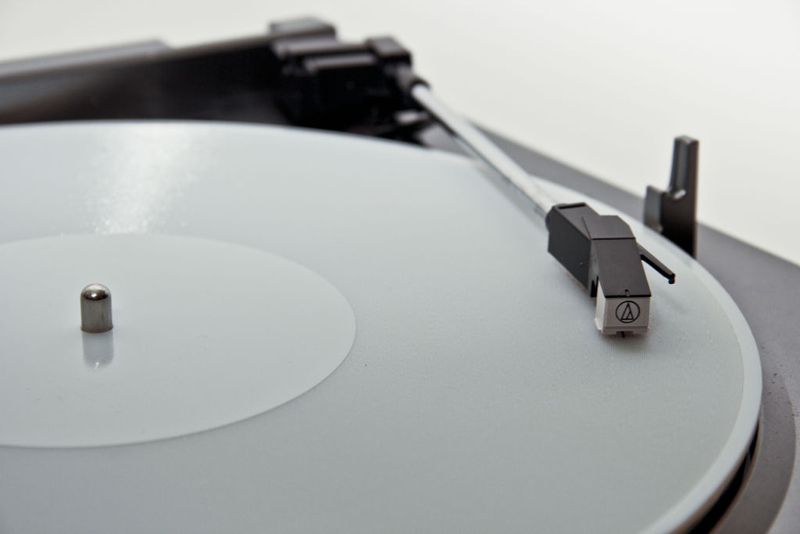 Although most vinyl lovers probably won’t see this as being quite the same (and have most likely already invested in turning their vinyls into MP3s for future proofing…), also the quality isn’t quite up there, but I do really like the idea of it. In fact, I would say the inaccuracy of the sound is probably what I like most. With these new weaknesses in the reproduction technique you could inspire a whole new sound and genre of music. Like Instagram is now the ‘look’ of the current era’s photography (whether that’s a good thing or not I’m undecided on), this could be the ‘sound’.